Here we are! The first devblog post of this new adventure. But let’s start at the beginning and give you a bit of context. Triskell Interactive is two people: Sinsem & Noodle. A duo that started in 2007… on the internet! At first we played together in the same community. Still, young & crazy, we started an amateur project. 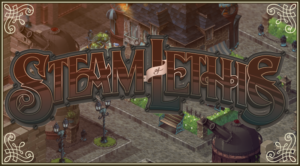 In our infinite wisdom, we obviously started the development of a MMORPG called Steam of Lethis. Its universe, the world of Lethis, followed us to this day. 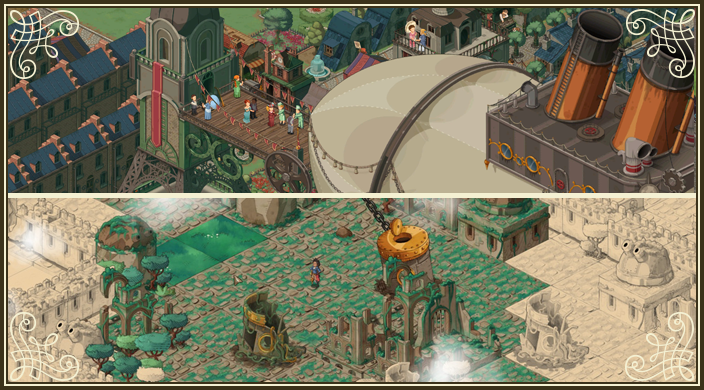 It’s a fantasy universe, with big steampunk inspirations, and a non-negligible Victorian feel to it. It revolves around the discovery of condensed steam as the main source of energy. The first demo of Steam of Lethis had you walking around the laboratory of the brilliant man behind the discovery: Franz Alström. Of course the world of Lethis expanded beyond that, with its many colorful characters, its weakening magic, its wars and the challenges that come with an unprecedented industrialization. Of course we never finished that project (no kidding!) but we were willing to become full time game developers, and using the world of Lethis to do that was a great opportunity. Hence the creation of Triskell Interactive in 2014 and the development of our two first games: Lethis – Path of Progress and Lethis – Daring Discoverers. While the first one, despite obvious flaws, was an outstanding success at our scale, this second game had quite a chaotic development, and resulted in a strange and a bit rough game experience. Today, with this accumulated experience (and some time off), we start production of a third game in the Lethis universe. 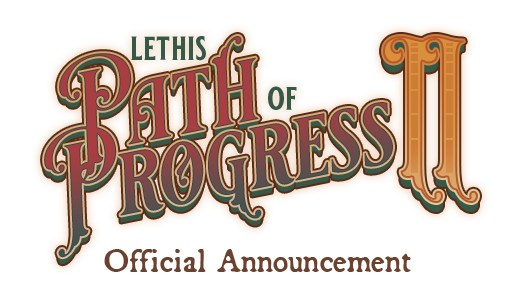 So it is official, we are making Lethis – Path of Progress II. The first one was developed in 8 and a half months by a team of seriously inexperienced people (that’s us!) so we’re confident that we’ll be able to deliver a far better product with this one. With the support of the community, with some people following us since our amateur MMORPG days, we hope we can craft a worthwhile game experience. This devblog will get you behind the scenes of the game production, I hope you’ll enjoy the trip! Very glad to see you lot are back at it again. Lethis – Path of Progress was a little gem – albeit a bit rough around the edges – that revived the old school city building I, and many others with me, like so much from the days of Impressions city builders. If you can iron out the flaws and improve on certain mechanics that have become outdated in this day and age, I’m eagerly looking forward to the second title. This is great news! I know it’s early, but do y’all have any idea of a time frame it will be released? This year? Next? Just curious and very excited!!!! Possible to do a kickstarter to secure the fund for Lethis 2 ? Not right now. We’re a bit early into the development process to talk about crowdfunding. What about the rest of the team? LPoP had like, 5 other people. Are,you guys all still friends? People have taken different paths, we wish them the best though! This is an awesome announcement, can’t wait for more devblogging! Could you tease some of the changes?